July 1 was not the ultimate victory, only the animating first step. The authors were part of a team of almost 300 national and international election observers in Mexico organized by the University and Citizen Network for Democracy (RUCD) and accredited by the National Electoral Institute (INE), an officially nonpartisan, government-run agency that oversaw the electoral process before, during, and after the July 1 vote that brought Andrés Manuel López Obrador (aka AMLO), the MORENA party, and its coalition to leadership. 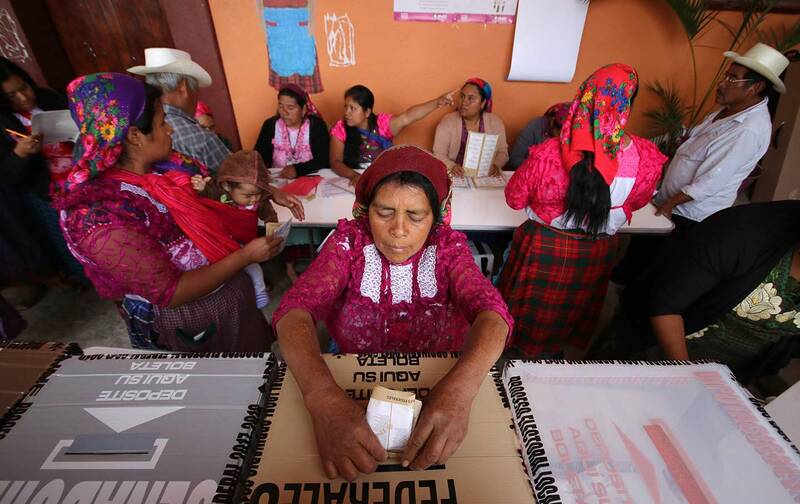 Cerullo and Wypijewski were dispatched to the south-central state of Morelos, in a brigade that observed the vote, the count, and subsequent validation in the towns of Tlayacapan, Totolapan, Atlatlahucan, and Yautepec. What follows is a diary in two voices. JoAnn Wypijewski: After the victory, after the long day of snaking lines, resolute voters, and elaborate public counting, there was band music in the morning. Brass, cymbal, drums—the whimsical clang roused me from a dream about kidnapping that, marvelously, had a happy ending. It was a school band, the sound of any Monday morning, Laura Saldivar, our brigade jefa and host in Tlayacapan, said: ordinary life and not, as I, half awake, had imagined, a public celebration. But this day ordinary things seemed newly clothed in the colors of the extraordinary. Laura had waited most of her life for such a day, 30 years, since the theft of Cuauhtémoc Cárdenas’s electoral victory in 1988, when she participated in the electoral process even though she was too young to vote. Others said Mexico had waited almost 100 years. “Waited” is not quite correct. Something has happened in Mexico that MORENA’s triumph, sweeping as it is, capturing offices from the presidency down to municipal government, can measure only in part. AMLO is not the lone hero of the story. The night before the vote my dreams had been full of death and tears. Tlayacapan had not felt particularly dangerous, any more than it felt safe later. Danger and safety are, in any case, contingent terms. But the subject of violence arises so commonly in conversation that it is impossible to understand this moment of social happiness without speaking of its opposite. So let’s speak of it, but plainly, without sensationalism, in the manner of the people of the pueblos who told of lost loved ones, systematized extortion, armed men parked near a school in the morning, tanks in city streets at midday, and, above all, of the 43 Ayotzinapa students, one from our district, extinguished in 2014, quite possibly by the army. Terrible as they are, the details are less politically resonant right now than the even timbre of the voices telling these stories. Society has moved beyond lamentation and the building of memorials. Soon, after elation, AMLO will have to advance on his promise of justice; his base is unlikely to abide continued impunity. Some 300,000 people have been killed over the past 12 years alone; 35,000 disappeared, countless thousands displaced. Eighty-seven journalists have been killed over the same period. Everyone can recite the number of casualties from this election season alone: at least 120 politicians, 351 government functionaries, assassinated; seven journalists, killed—one, a police reporter, two days before the vote. Many suspect that all those numbers are undercounts. Politics produced the carnage, mainly in the form of the Drug War launched in 2006 by a pretender to the presidency, Felipe Calderón, and sustained by his successor, Enriqué Peña Nieto, with ideological and material support from the United States. On July 1 politics was a weapon of rebellion. “The people have lost their fear,” I was told in Chile in 1988 while observing the plebiscite that unseated Gen. Augusto Pinochet and his ghastly regime. The phrase echoed now, in multiple ways, in Mexico. It echoed in a campaign song written by the new first lady, Beatriz Gutiérrez Müller, which went viral in the days leading to the vote. “Let’s end this horrible old story,” she sings among a chorus of women in the music video. They are joyful but knowing. “Canta, Canta” (Sing, Sing), but even campaign songs acknowledge that writing a new story for people in Mexico will not be easy. This is a moment of optimism without sentimentality. Margaret Cerullo: Faint optimism with caution and no sentimentality at all was the response of the newly formed autodefensas [community self-defense force] in San Andres, Tlayacapan, which we first encountered the afternoon before the vote. During the day, community defenders sauntered around a sandbag bivouac beside a narrow road into the village, a cord loosely extended across its length, ready to be pulled taut. In the evenings, the patrols tightened, men stood poised with hunting rifles, several with bandannas drawn across their faces or wearing repurposed wrestling masks. “Everything is calm—so far. That is all we will say,” one remarked on July 2. The autodefensas—who are self-organized to protect their communities, often against state and local police as well as organized crime—are new to the highlands of Morelos, and controversial among most people we spoke to, except, apparently, in the 1,500-member community of San Andres itself. There, women and men maintain a 24/7 vigil at the entrances to the town, debating their future, discussing whether they should even have allowed voting booths for election day, so deep is their distrust of the party system and the political class. Autodefensas formed in San Andres only a month ago, after the narco appeared and began charging pisos (protection money) to operate basic services, such as the compact moto-taxis that climb the hills and circle the town, and are the major means of local transport. Their presence is both profound and unnerving. They saw vigilance as their community’s last chance, their survival. And yet, the concern, as a village neighbor put it, is that “sometimes necessity overwhelms dignity,” and they could be infiltrated, could devolve and become, alongside narco bands and police forces, simply another paramilitary group preying on the population. For now, they represent one more Ya Basta! echoing in rural central Mexico and—with local variations—throughout the entire country. No! not only to the narco invasion but to the extortion and excessive force of the Mando Unico (state security police under direct control of the corrupt governor, Graco Ramírez, exemplar of the disintegration of the once left-leaning Democratic Revolutionary Party, the PRD, so hated that it may have failed to garner 3 percent of votes in the state, necessary to maintain its registro as a political party entitled to public funds). No! to the lack of resources for reconstruction after last September’s earthquake—materials, we were told, that were stored for months in warehouses, only to be released sparingly in the weeks before the election as part of vote-buying operations. No! to the revision of the Morelos constitution to permit reelection of state and local officials in a country where “No Reelection!” has been a battle cry against dictators since the 19th century. No! finally to the violence of a subsistence economy that since NAFTA has been unsustainable without remittances from migration, forcing youth onto the migrant trail or, if they don’t migrate, into the hands of the narco. JW: This backdrop, all the reasons for cynicism, made the overwhelming vote for MORENA so moving. Not only the final tally but the voting process itself. That was a manual effort and a social one. It has no match in the United States. The regional INE official in Yautepec called it baroque: The ballots are paper, in multiples, counted by hand, in front of an audience, recounted by hand; so inefficient, he said, so many hours, so many hands… Indeed, our eyes were fixed on hands, but our interpretations differed. Viewed from our posts in rural Mexico, where the work of the hand is everywhere evident—from 16th-century churches to a delicate hand-sewn skirt protecting the modesty of the impaled Cristo and garlands of shiny paper chains decorating his shrine; from a truckload of just-picked corn spilling onto a market street to the swift shucking, cutting, preparation, and selling of the cooked produce to shoppers; from precise hand-lettered signs on shop fronts to the deliberate, artful displays of fruits and vegetables on even the smallest market blanket—the voting process had the rhythms of the countryside. It was not inefficient but complex; not modest but elaborate; not an act of individual faith but of dignity and collective responsibility. This collective responsibility took distinctly material form. Picture the scene. You are in line, waiting for the polls to open at 8 am. They will not open then. Inside (a school, a courtyard, a cultural center), there may be three or four casillas. Each has a long table, manned by a half-dozen local poll workers. It takes a while to set up the table. Sealed packages must be opened; bound sets of ballots, verified, arranged in order. Someone will check your voter-ID card against its image in a bound registry. Someone will apply indelible ink to your thumb after you’ve cast your ballots. For now, though, you wait. It is a Sunday, and the line is tranquil. It takes a while to set up the booths, which promise “El Voto Es Libre y Secreto”… to secure the transparent boxes in which the ballots will be placed… to get the ink to run freely from the daubers. It takes a while to establish a logical path for the voter, who must move from table to voting booth, to ballot boxes, back to the table again to be inked and reclaim the voting card. Everyone works with great seriousness. Once inside, you will be handed six ballots—for president, national senate, national assembly, governor, state legislator, municipal president (equivalent to mayor). Each presidential ballot has 10 rectangular boxes for valid candidates; each rectangle has a full-color party symbol and the aspirant’s name. The names repeat because, for instance, MORENA is in coalition with the PT, or Workers Party, and a religious party called Encuentro Social; the conservative National Action Party (PAN) is in coalition with the fatally opportunistic PRD and a new formation called Movimiento Nacional (MN), best known for its music videos featuring an ingratiating child star or a shaggy-haired troubadour whose message amounted to “Be hip, vote for us”; the ruling Institutional Revolutionary Party (PRI) leads yet another coalition. There was also the independent candidate, popularly known as El Bronco. You fold each ballot in four. You exit the booth from behind the plastic curtains and place each ballot in the appropriate box. If you came to vote at midday, you may feel a crush. Bodies are numerous, sometimes pressed close—the voters, the poll workers and observers, the party representatives sitting in rows to watch the vote, the people bringing refreshments, the sketchy characters who may or may not have been trying to steer the vote. The polls will close at 6 pm. You may stay after while the poll workers pack the paraphernalia and void the unused ballots, while they announce how many were unused, while they make their preparations. You may witness the spectacle of the count. MC: Up to now, what electoral or “multiparty democracy” has meant in Mexico is that three party machines (PAN, PRI, PRD) have competed in the buying and coercion of votes, each using essentially the same tactics, offering desperately needed material supports to desperately needy people. While the Mexican (and US) elites anticipated MORENA’s victory and had begun to make their adjustments, no Mexican we spoke to prior to the election was fully confident—given the theft of presidential elections in 1988 and 2006, and other regional elections—about the large margins the polls predicted, which would make fraud more difficult. Articles had appeared in La Jornada explaining the precise ways in which the polls could lie. Those behind AMLO 100 percent politically and emotionally, making an effort to attend his rallies and see him up close, and expressing their sentiments to the poll-takers, were sometimes pressured by neighbors or even family members working for other candidates. These individuals offered vital supplies, such as water tanks, in exchange for their vote. In Mexico City, we heard of people being offered 10,000 pesos (about $500) not to vote. Here, we heard of people being given food or construction materials. We heard that people whose votes have been bought are sometimes required to take a cell-phone photo of their marked ballot and show it upon exit from the polling place before collecting their goods. This may account for several ballots we saw in the recount, with the PAN marked, then crossed out or erased, and MORENA indicated boldly. “The people have got smart,” smiled a skilled construction laborer slyly. “They say what they need to, and do what they want to.” Our jefa, Laura, told us of a Facebook post that featured a photo of a voided ballot along with a 500-peso bill that would be folded into it, and a note insulting the candidate who had paid it, saying, “Take your stinking money!” This time, in the battle between necessity and dignity, dignity triumphed. JW: Frank Bardacke talks about “the spectacle of the cut” in his magisterial history of the United Farm Workers, Trampling Out the Vintage, describing the skill, athleticism, and solidarity of Mexican migrants working today in the California broccoli fields. I borrow his phrase because, while not exactly athletic, the counting of the vote, repeated at thousands of tables in thousands of polling places throughout the country, was a demonstration of skill and endurance. The drama lay in its purpose. The focus was every casilla president, who led the proceedings. The gallery was composed of party representatives and anyone who wanted to witness what people, time and again, called “a historic moment.” In one open-air place in Tlayacapan, lit with bulbs that lent the scene high contrast at 2 am, poll workers still moved vigorously, as if they hadn’t been toiling since 7 am. On the darkened sidelines, in the intervals, children pumped swings, a fat man held his belly at the bottom of a playground slide, lovers embraced, one head on a shoulder; three old campesinos in crisp white cowboy hats haggled over something until the tallies were called, when all but the children turned alert to the count. AMLO had already given his victory speech by then, his challengers having conceded 45 minutes after the polls closed. In the wee hours people were following local races. As observers, we had grown accustomed to the counting process by then, but try to grasp the resplandor, the marvel, of our first witness; imagine the rows of local people tensed with expectation and maybe, soon, anger or ecstasy. This was the count for the presidency. Large bright sheets of paper covering the tables had ballot-size rectangles with party symbols and names, representing 23 possible voting combinations plus Null. Hands emptied the ballot boxes onto the table. Hands opened each ballot, smoothed it, and placed it appropriately. A voter may have checked just MORENA, for instance, or MORENA and PT, MORENA and Encuentro, PT and Encuentro, all three, PT or Encuentro alone, and so on like that for all the parties, coalitions, and their candidates. As the piles of ballots progressed or stagnated, so did the hopes (or fortunes) of the onlookers. The tables told the story. “…trescientos nueve, trescientos diez, trescientos once”; 311 for MORENA, and the counter could exhale. MC: Un despertar—an awakening, as in the people have “woken up”—was the expression we heard repeatedly after the elections, woken up to their organized power and to the persistence of a broadly shared vision of a different Mexico, inclusive and just. In the same way that people referred to violence casually, so they had noted everyday practices of resistance. Not happy about the mini-super just opened in the Cuernavaca village of Santa María Ahuacatitlán, which threatens local fruit and vegetable stands and small grocers, the comuneros dumped a ton of sand at the entrance to frustrate the opening. Two years ago, when unknown armed men in luxury vans appeared in the neighborhood, they set up a double-shift armed vigil. In nearby Tepoztlán the community blocked entry into the town for more than a year in the 1990s to stop a golf club the government wanted to build on sacred land. Serving as an election observer in Morelos provided a condensed encounter with the living memory and active presence of so many of the dispersed struggles that have been constant throughout Mexico in the neoliberal period, often barely conscious of one another. The most recent and resonant of those—organized outrage over the disappearance of the 43 students from the Ayotzinapa Rural Teachers’ College—haunted the election. “Ayotzinapa,” that compressed expression of loss and rage, surely accounts in part (there are so many parts) for the routing of the ruling-party candidate, who got a mere 16 percent of the vote nationwide, despite the PRI’s well-oiled fraud machine. Multiple local and regional indigenous movements, student struggles of the late 1980s and ’90s for continued access to free higher education (in which our brigade comrade Gerson Ballinas participated), all the empty seats left at family gatherings and political meetings from Mexico’s largely ignored dirty war, insurgent teachers movements, campesino struggles in defense of land and resources—all of these flowed into the election victory. That victory revealed the enormous potentia of these multiple expressions of popular discontent, the political possibility to exceed what they currently are, the potential for organized rebellion, to which the election results gave a great impetus, providing a kind of mirror in which the people discovered their power. “We saw what we are capable of,” Gerson said. The challenge now is to keep moving and organizing, to nourish these movements’ multiplicity and diversity. Mexico Profundo—deep Mexico, Mexico of those below, the underdogs, rightful inheritors of the land—doesn’t simply exist; it is under constant and contested construction. The Zapatistas, in a communiqué issued after the elections, saw a crack amid the victory celebrations, and issued a warning. “You can change the foreman [capataz], but the plantation owner still rules,” they insist. “Whatever team wins, it’s the owners who always triumph”—an uncomfortable and necessary reminder that haunting López Obrador’s and MORENA’s project is what the Zapatistas call the capitalist hydra, the monster with no country. And not only that: The Zapatistas had watched the elections from Chiapas, where the notorious PRI party bosses of Chamula had opportunistically turned color and signed on to MORENA, winning as always. This PRI-ified MORENA was reported to be actively buying votes in Las Margaritas. The inheritance of entrenched political practices and customs (what one friend calls “the PRI that everyone has inside them”) could never be eradicated in one event, one election. In Tlayacapan the mayor’s seat went to a former PRI militant who’d lately joined MORENA, prompting concerned discussion. In Totolapan, MORENA’s candidate for mayor, Marithelma Campos, a primary-school teacher, campaigned vocally against the corrupt PRD machine and for a program of social rights and economic supports. In a letter to constituents, she summarized her purpose in rhetoric that largely defined MORENA elsewhere in the state: “We have conducted a campaign that is austere and different; we don’t buy votes or sell municipal offices, reminding you that ‘whoever pays to win, gets elected to steal.’” Campos lost. It is a mistake, therefore, to read the excitement of the Zócalo in Mexico City on election night as this story’s end. JW and MC: “Let us be dissatisfied,” Dr. King told his supporters 50 years ago. The echoes of history should give us heart, encouraging those on the people’s side worldwide to recall again that the story of setback is not an unbroken narrative; also, to ponder that organized dissatisfaction brought López Obrador himself to this moment long before July. Our last night in Mexico resurrected that history. We were gathered with neighbors and friends in Cuernavaca: Marco Meneses, a district-level citizen observer, his wife, Lourdes, and their daughter, Mariana, both trained poll watchers. All of their election-day plans had been upended with news of the death of Marco’s brother on July 1. Omar Meneses was a beloved photojournalist for Milenio, a major national paper. As a last act of solidarity, his colleagues agreed that all of their election photos would bear his name and not theirs. In the soothing shadows of the garden at dusk, Omar’s wife, Cecilia Candelaria, shared more of Omar’s legacy with us: a book of photographs from 2004–05 which suggested that, in a way unforeseen at the time, he had in fact documented an origin story of this election. Edited by Omar, Ceci (also a photographer), and Frida Hartz, the book records the explosive popular response to a state effort that, had it succeeded, would have destroyed López Obrador’s political future. The images manifest the political base that AMLO owes. 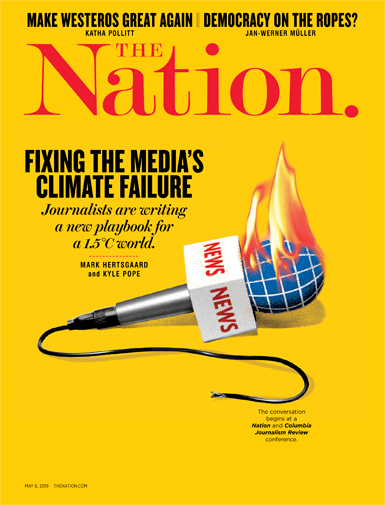 They serve also as a rebuke to US press comparisons of López Obrador to Donald Trump, Barack Obama, or any version of US populism. The PAN government of then-President Vicente Fox, perhaps with PRI complicity, had engineered a complex legal maneuver called a desafuero (literally, denial of a public official’s immunity from prosecution), which would have made it impossible for AMLO, then mayor of Mexico City, to run for president in 2006. A federal prosecutor had indicted him for appropriating a patch of land to build an ambulance road to a hospital. Once charged, he was stripped of his civil rights. The people replied with the largest political demonstration in Mexican history up to that time. Seizing the streets, they refused to leave politics to the politicians. For a time, writes Fabrizio Mejía Madrid in the book’s introduction, it was the world turned upside down. The powerful were made cartoonish; on the side of the people frolicked a Trojan horse, Don Quixote, Alice in Wonderland. The poor took pride of place in the mobilizations—“those who are looked at askance in restaurants and museums, those whose lives the powerful had laid siege to, because they were dark skinned, poor, badly dressed, unemployed, or badly paid, because they were old or women.” In a momentary suspension of the rules of order, they refused to be invisible. On April 24, 2005, more than a million people marched through Mexico City, in silence. “We speak in silence to a justice that is deaf,” a sign read. The pictures bear the awesome discipline of that silence. The Fox government backed down. Now president-elect 13 years later, AMLO is touring the country, listening. Adolfo Gilly has proposed that, like Cárdenas in 1988, López Obrador ask the people in each place that he visits, from cities to the smallest hamlet, to write him letters that tell of their desires, their necessities and grievances. Father Concha has called on the networks that helped secure the election to remain as a force. Popular delegations have already articulated their needs. In the tension between celebration and wariness, hope is an active verb. Margaret CerulloMargaret Cerullo, a professor of sociology and feminist studies, has taught at Hampshire College for 40 years.